Home » Stuck In A Foreign Country With A Language Problem? 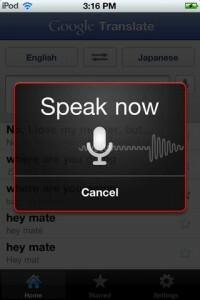 Use Google Translate On Your iPhone! Stuck In A Foreign Country With A Language Problem? 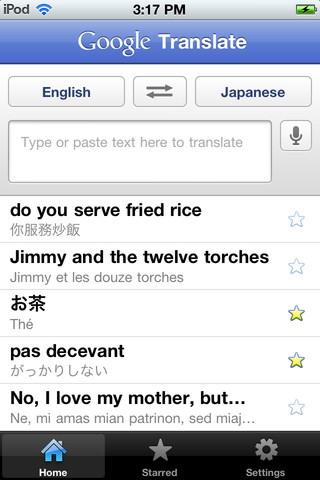 Use Google Translate On Your iPhone! 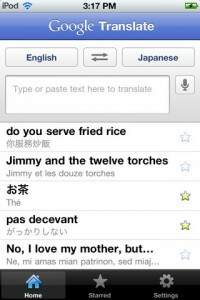 Google Translate iPhone App Review. Who here can say they speak 64 languages and can translate from one to another in the blink of an eye? I know I can. I just need to pull out my iPhone and start Google Translate, a free app downloaded from the App Store. 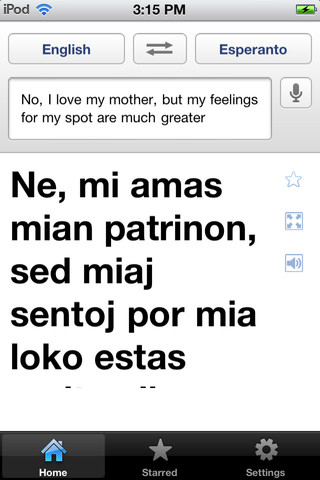 Google Translate offers two methods for inputing the text to translate from one language to another. You can choose to type the text unsing the keyboard or say the words out loud. I should note however that speaking the text instead of typing it is not available in all 64 languages. When it comes to Google Translate returning the translated text back to you, the same methods apply. 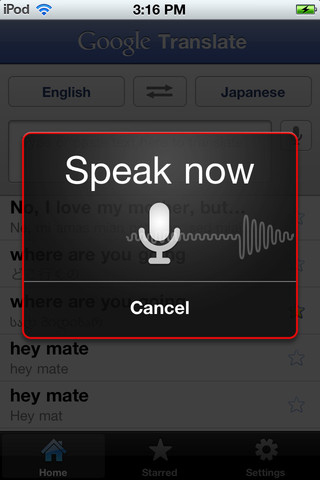 The app will either show you the text or speal it for you, again not all languages benefit from this. The app's interface is dead-easy to use. You have to pay attention to the two languages you're translating from and to. They're located at the top. You can also easily switch between the two with the tap of a button. The big box is where the text goes or, if you prefer, tap on the microphone. The app also saves you a history of all your translations, and you can access that even when offline. But for any new translation, you need a stable internet connection. And this might be an issue when traveling abroad, because of high data roaming charges. But if you get close to an WiFi, the world's your oyster, so to speak. You can also star your translations, for easy access. For non-Latin script languages, like Chinese or Japanese, the app also spells out the translation for you, so you can easily read it out loud, phonetically. What was disappointing with Google Translate was that it didn't feature the Google-style design Google Plus or Search have. This goes to show that Google is still migrating existing designs, slowly. But with 64 languages at your finger tips, almost half of which can be spoken out to you, Google Translate is the app to have around when traveling. What do you think of Google Translate? Scroll down for our comment section and let us know!